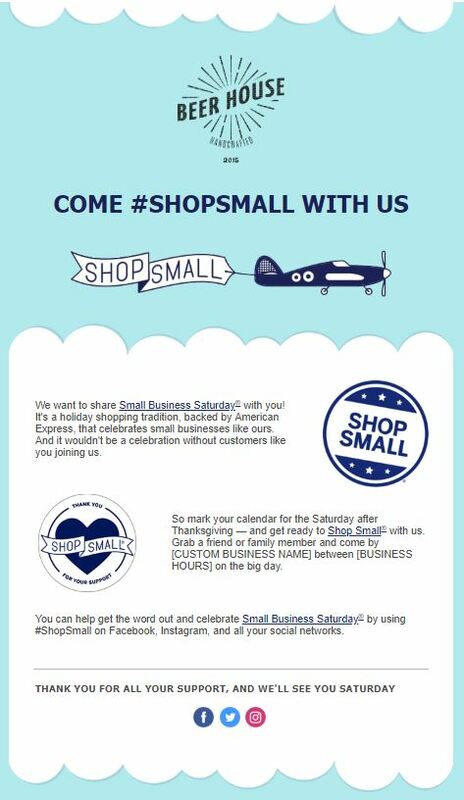 Once again, American Express is sponsoring Small Business Saturday. The idea for this special day is to encourage people to shop small during the post-Thanksgiving weekend. Scheduled for Saturday, November 24, 2018 this nationwide effort is poised to direct lots of retail traffic and revenue to U.S. small businesses. Since Small Business Saturday started, U.S. customers have reported spending an estimated total of $85 billion at independent retailers and restaurants. Not bad! Is your small business ready to make the most of this special day? We’d like to help you make it your biggest sales event of the year. 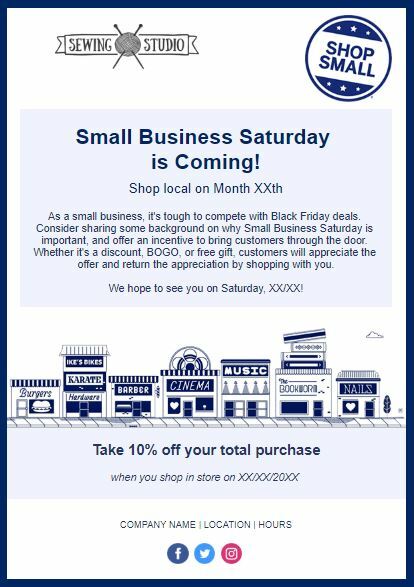 Along with other Holiday-themed email templates, we’ve created Small Business Saturday-themed email templates to help you spread awareness and rally customers for the big day. 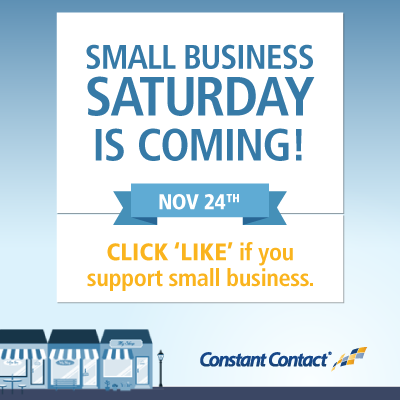 If you’re a Constant Contact customer just log in and search for “Small Business Saturday” in the Template Selector to access them. Not a customer? Just sign up for an email marketing trial to get them free.